Terry has 13 years experience in the financial services and insurance industries and supports the firm's client services department in the Austin, TX office. She assists Rose Thomas with individual/maturity funding placements. Terry has been with the firm since 2005. 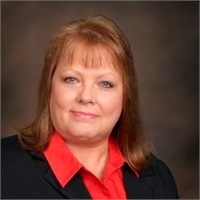 Terry began her career in the high-tech industry with Motorola, Inc. (Freescale), where she managed office space for several departments across three campuses. She worked in the finance group managing internal hiring; conducting orientation for new hires and was the team leader in conducting proprietary security audits. From 2005 to the present she has been BCG's SalesForce (CRM) Administrator and has provided client services support. Terry is a strong advocate of The Girl Scouts of Central Texas where she served as a Troop Leader and a Service Unit Managing Volunteer for over 15 years. She has also been involved for many years in The United Way of Greater Austin. Terry currently holds a Texas life and annuity insurance license and is not affiliated as an agent with any insurance company.